Are you feeling relaxed about your retirement? Whether you’re worried about running out of money, paying too much in taxes, or causing a burden to your family, Asset Protectors & Advisors has the solution that fits your goals. Want to schedule a conversation with us? Just fill in the fields below and we’ll be in touch to confirm your appointment. Let us focus on YOUR goals and provide results. 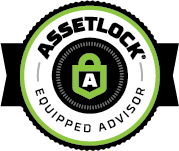 I want AssetLock® for FREE! When you are a client at Asset Protectors & Advisors, you’re invited to attend our events scheduled throughout the year. We love to host our clients at our training center located in our Raleigh office over lunch or dinner and enjoy giveaways, great speakers, and taking questions from YOU! You’re invited to Total Financial Fitness! If one of your New Year’s resolutions was to get your finances in order, then you’ll love our February event! Whether you’re thinking about maximizing your retirement income, saving on taxes, or just want to hear more about what’s going on in the market, this is the event to attend. Your relationship with us will begin by reviewing all current assets and upcoming acquisitions. While you identify both the challenges and opportunities your family is aware of, we’ll listen to you and address your desires and our plan. The same planning is available to everyone in your family across multiple generations. Your children and grandchildren are active clients in their own right. Your retirement planning may be interconnected generation to generation, and we strive to offer the optimum ability to preserve both assets and vision.